SAN FRANSISCO, C.A. — A jury hearing evidence in the third trial against Monsanto and its parent company Bayer learned that glyphosate — the primary herbicide in Roundup — is a substantial link in causing non-Hodgkin’s Lymphoma. An epidemiologist testified on Monday, April 8, 2019, that exposure to glyphosate more than twice per year can double the user’s risk of falling ill from non-Hodgkin’s Lymphoma. The team of lawyers defending Monsanto argue against that evidence and claim that the bulk of research shows that glyphosate is safe to use according to usrtk.org. 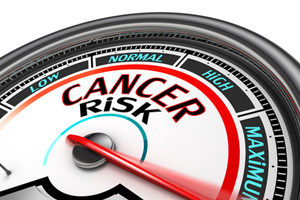 However, an extensive review of the literature studying occurrences of cancer in farmers reaches the same conclusion the epidemiologist reached. The jury will continue hearing evidence in the case this week. The testimony offered by the epidemiologist chosen by the plaintiffs to testify on their behalf was powerful and compelling. The jury has the duty to evaluate the testimony given by the doctor and makes the ultimate decision whether or not the testimony should be believed. This jury does not have the case to deliberate right now, but epidemiologist’s testimony was persuasive before. The case on trial right now is the third case out of four to go to a jury, and Monsanto lost the first two cases. The trial judge wants to put a stop to the litigation. The judge presiding over the trial told the attorneys that there need to be settlement negotiations and that parties should mediate the case to resolve their differences. The trial judge is adamant that the cases, all 11,000 of them, should be settled out-of-court to such a degree that the judge canceled the fourth trial slated to start in May of 2019. Canceling the trial date in the fourth case should persuade the parties to reach some agreement. Preliminary settlement figures suggest that the plaintiffs, as a group, should receive between $3 billion and $5 billion as compensation for damages. Have you or a member of your family used RoundUp and developed non-Hodgkin’s Lymphoma?